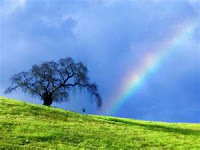 Well, storms in our area last Friday were devastating to many who were in their path. Luckily, everyone survived. What I watched on TV yesterday evening from the deep south was unbelievably sad. Catastrophic destruction and many deaths and injuries. It makes what I am about to discuss somewhat trivial but life goes on and we have a golf course to manage. We've received 4.13" of rain since 4/19. (6.39" total in April) Double our normal total for the month. Not a large amount in comparison to some areas south of the metropolitan area where they have received 12-15 inches. We were able to mow most everything on Thursday of last week. Yesterday, before .75" fell in the afternoon, we began mowing some rough areas, well over 1/2 of the tees and the cool season green surrounds. Rain pulled us off the mowers in the afternoon. We will not be able to get out again until Friday. 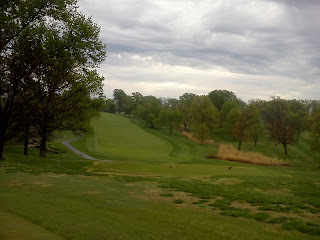 I will be surprised if the fairways are able to be mowed before the next rain comes in Saturday night. We might be able to try some on Saturday but we have water weeping out of many of the hillsides which limits are ability to mow. The lack of sunshine has slowed the growth of our turf somewhat but the next few days will bring on a huge growth spurt in combination with the moisture that is readily available. Our goal is not to create damage this time of year by being too aggressive and trying to mow during these wet and soft conditions. 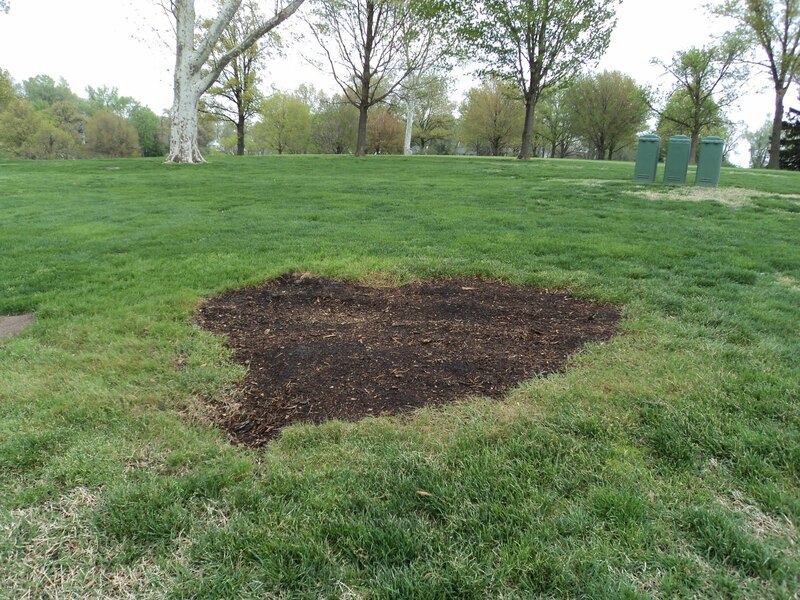 Damage turf now could lead to severely stressed turf conditions during the summer. Our solid roller program on our greens is working well with no scalping along some of our edges that we would normally see during these soft conditions. Growth regulators have slowed growth of our greens and allowed us to skip days mowing when our conditions have been too wet and soft to mow. 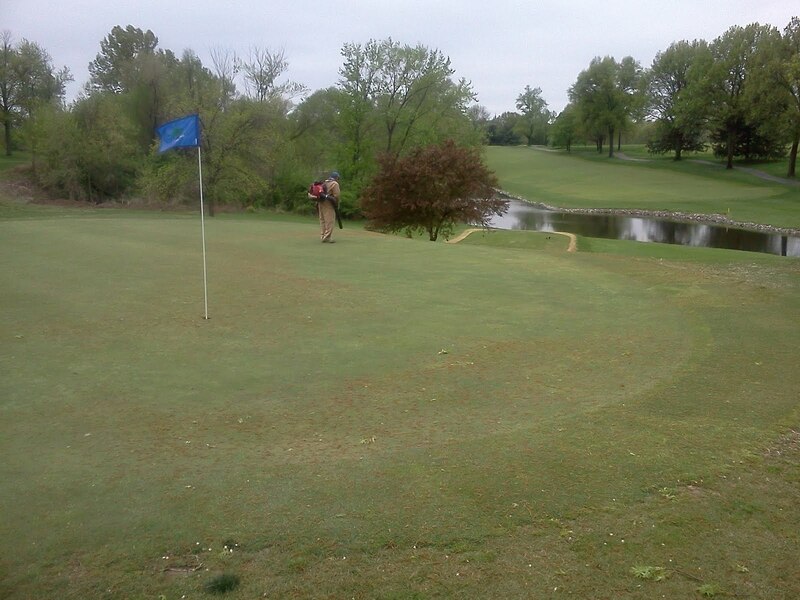 Of course, we've had very limited play which makes no mowing decisions a little easier as well. I appreciate your understanding during this period of wet turf conditions. Course survived from the storm last night. Less than 2tenths of rain. Looks like we are going to have to learn how to play and work in the rain for a while. On this Earth Day 2011, one of our research and information organizations posted this very nice poster regarding Earth Day. 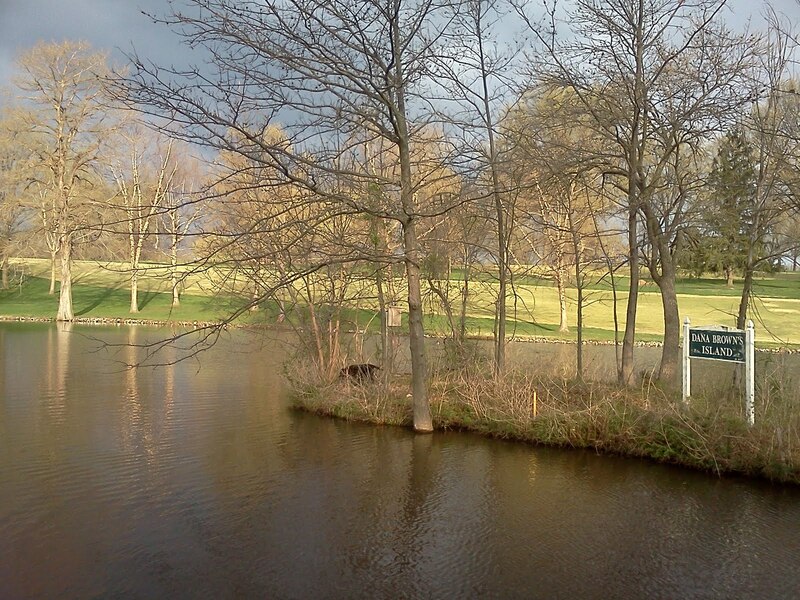 What do we do at Glen Echo to provide for a better environment? The preservation of 140 acres of green space in a sea of concrete and asphalt is the most important legacy of this club and the positive environmental impact that the property creates. We've reduced inputs such as fertilizer to insure that we are not over applying product that the turf cannot utilize. The newer products that we utilize to control disease, weeds and insects are more effective in their application and in most cases are more environmentally friendly due to low use rates and how they tie up in the soil. A much more efficient irrigation system and uses less energy to operate. We do have a great deal more heads then our old system but we are able to fine tune our program and leave whole sections of the course off if water is not needed. We collect our aluminum and other scrap metal that is used in our operation. 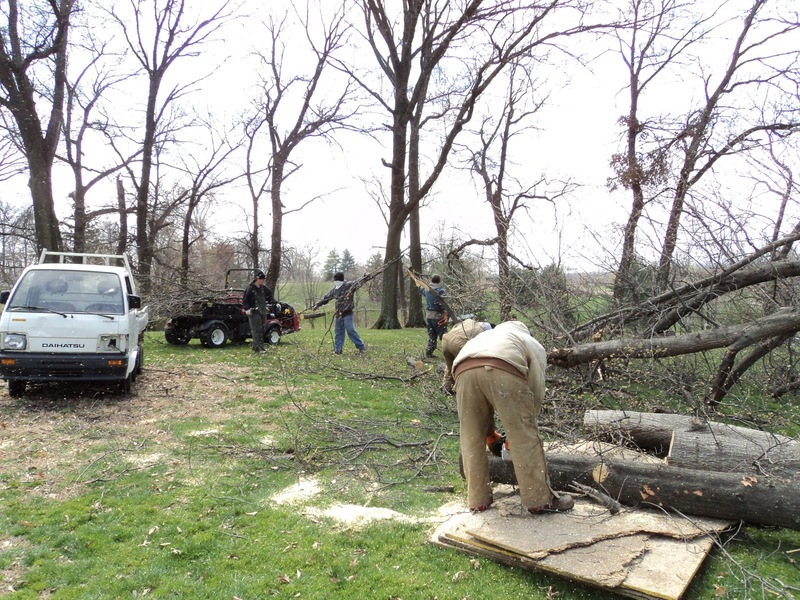 Burning dead trees which do not go to the landfill and save energy costs and use of natural gas during the winter. Use kitchen waste oil to make a 25% blended diesel fuel for our equipment. 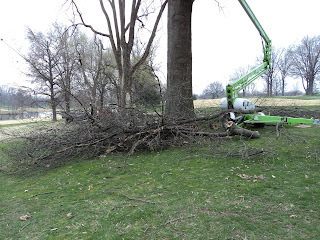 Use a chipper for our tree limbs and waste and utilize the material on our ornamental beds when possible. Out of the way rough areas are mowed once per week and regulators are used on our fine turf areas which help to control growth and allows the grass plants to save energy. Make our own compost for plant waste to be used in our ornamental beds. Bird houses which are utilized by a number of families of bluebirds, barn swallows and other birds during the season to raise their young. This is just a few of the things that we do at Glen Echo to provide for a better environment for all of us to live and play. We are bringing in a few new staff members to round out our group for the season. As a part of their training, the first work task that we teach them is how to walk mow greens. The more people we have to do this job, the more flexibility we have in assigning work for the day. It usually takes 3-5 days before an individual is mowing completely on their own without supervision. We will then check in each day to see how they are doing for a few more days to make sure they are comfortable and are not picking up any improper habits. Tom Lewis working with Demarcus on the 7th green. We had very little damage to the course from last nights storms but had every seed pod known to mankínd from our trees on our greens and in our bunkers this morning. 8 staff members to blow off greens and mow them in a timely manner. Our contractor Tim Crews with his large stump cutter. Our largest stumps were ground down in less than 30 minutes. Remants from the grinders work. A hole smoothed over but still needs some additional soil for sodding. 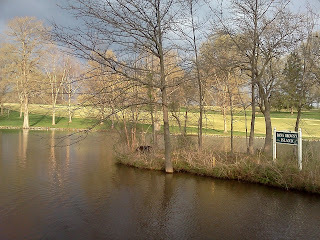 Lady has slowed some over the last couple of years but she loves the spring because she swims over to Dana's island and prevents the Canada geese from hatching young on our property. I love seeing the geese fly in formation as long as they keep flying past the course. 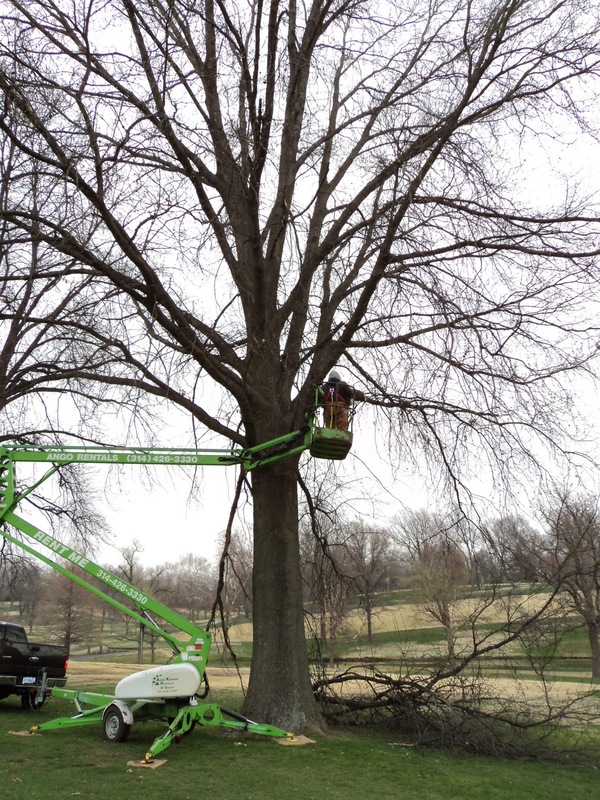 The weather turned back to winter last week which gave us an opportunity to do some additional tree management work. 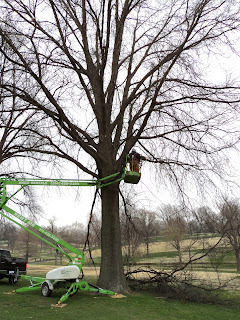 Wind damaged trees, diseased/dying trees and some additional branch pruning were all accomplished. 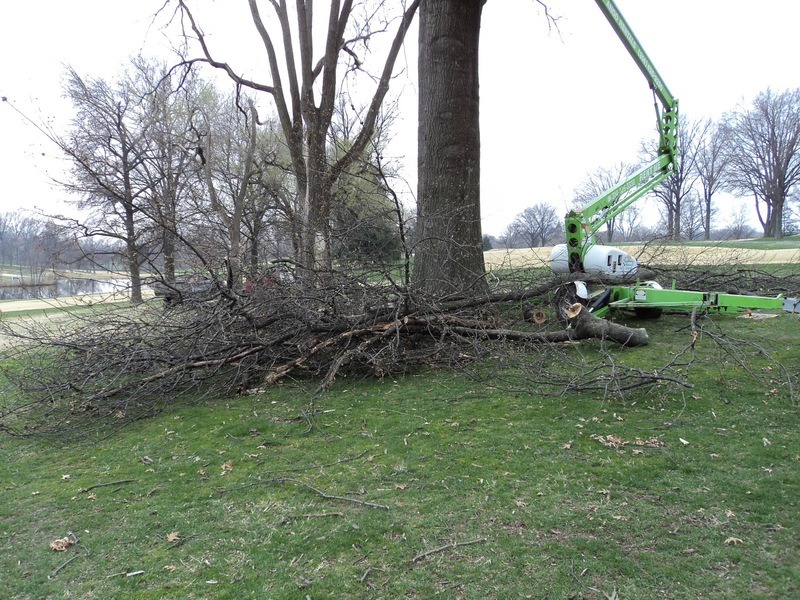 A contracted stump grinder will be cleaning up the stumps on the course over the next week if weather cooperates. Our staff will remove the ground material, dirt filled in where necessary and will be capped off with new sod. Asst. 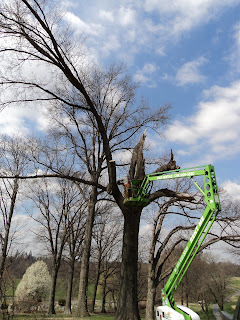 Skip removing limbs from damaged tree. The staff cutting up limbs and hauling for grinding and or splitting. Trees along #16 having deadwood and lower limbs removed. 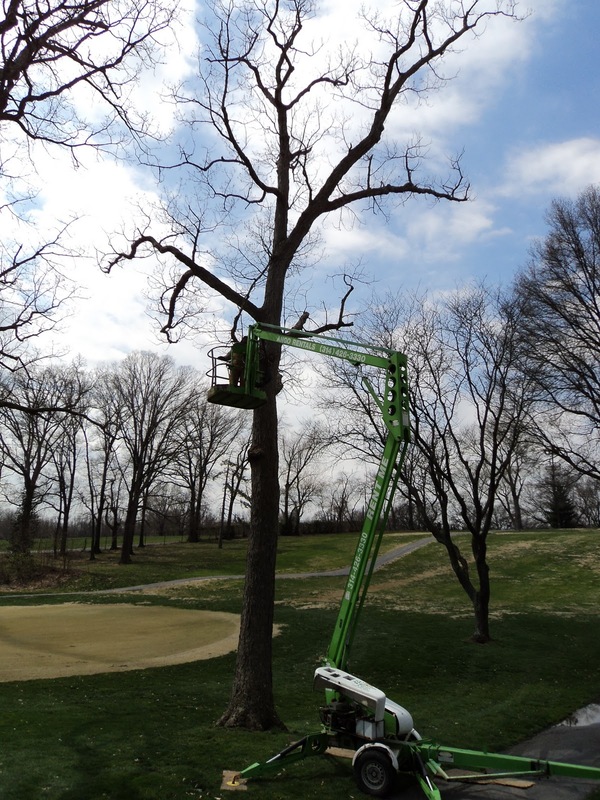 Skip removing limbs from white oak between 3 and 12 which died at the end of last summer. Blogger has a new feature that notifies blog readers when a post has been made to their favorite blog. The top right of the main page of the Glen Echo Blog allows you to insert your email and you then receive one daily notification when I post a blog or multiple blogs are posted to the site for that day. This process can save you time and allow you to receive updates without having to go to the site regularly.